From Morocco to the Philippines, FIU graduates have served the Peace Corps in more than 60 countries around the world, earning the university national distinction by the world’s preeminent international service organization. In 2014, the Peace Corps recognized FIU as a leader amongst Hispanic-Serving Institutions for producing volunteers. To date, nearly 200 FIU alumni have served, and 11 are currently abroad. Since May 1998, FIU has partnered with Peace Corps for a Master’s International Program and has recently added an undergraduate track, Peace Corps Prep, focused on international relations and community service. The program builds on the Global Learning for Global Citizenship initiative and meets the growing demand for diverse applicants for the service organization as it continues to tackle the most pressing needs of people across the globe. But it’s not the academic training alone that makes FIU alumni desirable candidates, says Hunsicker. The organization also values the school’s growing minority population, representing the rich, multicultural backgrounds of Americans. Hunsicker says that the success of volunteers often relies on being able to relate to those in other countries, regardless of backgrounds. This global perspective, he says, is paramount. A centerpiece of undergraduate education at FIU, the Global Learning for Global Citizenship initiative launched in 2011, requiring all students to take global learning courses and a foreign language. The goal is to provide students with opportunities to explore real-world problems, learn global perspectives and ultimately be globally engaged. Hilary Landorf, director of Global Learning, knows the value of a global perspective and Peace Corps first hand, as a returned Peace Corps volunteer who served in Morocco from 1979-1981. Landorf is now spearheading FIU’s Peace Corps Prep Program, which consists of four global learning courses, four semesters of foreign language, a minimum number of approved global co-curricular activities and a written self-reflection. The unique combination of undergraduate coursework and community service focuses on international development. FIU is the only school in Florida and the largest of the 24 schools that offer the program. At the graduate level, Professor Krish Jayachandran, who heads the Master’s International Program, sees the implications of international service through the research students conduct. While the majority of the thesis topics are based on local research in the U.S., Peace Corps students focus on global environmental and social issues. The MIP allows students to earn up to six credits for their Peace Corps service and upon completion of the classes, awards a master’s of science degree in environmental studies with a concentration in biological management. 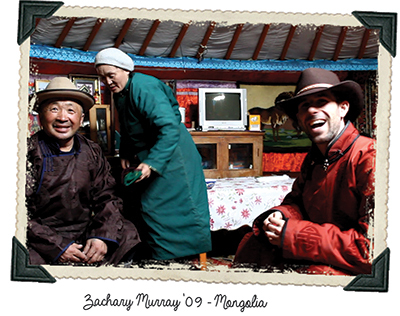 Zachary Murray ’09, currently serving in Mongolia, wakes up in the middle of the night to restart the fire in his ger, a portable tent that Mongolian nomads still use. The tent provides little warmth from the frigid temperatures. Buckets of water and eggs freeze overnight. He can’t remember the last time he ate a green vegetable. 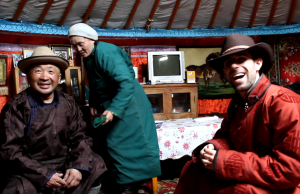 “I eat carrots every day,” Murray said, speaking to FIU Magazine from Mongolia. The Miami-born and raised alumnus has learned to adjust to his new lifestyle in Uliastai, the rural city accessible by a 30-hour bus ride from the capital, Ulaanbaatar. With snow on the ground seven months out of the year, his daily attire consists of heavy layers of clothes and boots. The religious studies graduate got bit by the travel bug after a visit to Israel so he moved to Japan after graduation and became an English teacher in Kagoshima. He then moved to Kyoto, learned Japanese, and worked in guest houses in Tokyo before carefully planning his next step – joining Peace Corps. He was assigned to teach English in Mongolia. That involved adding a third language, Mongolian. 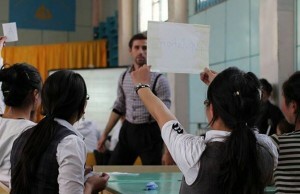 In between teaching, Murray works with local Mongolian teachers, instructing them on lesson planning and other formal skills. Murray thrives on the variety and scope of work that comes with his main assignment. He’s worked with two other Peace Corps volunteers to establish a basketball leadership camp, and provides dental education and care for the local youth. “I spearhead projects, go to businesses to ask for funding, and organize camps,” he said. Doing it all in another language adds to his skill set. “The point was not for me to do the basketball leadership camp alone, but to train the Mongolians to do it so they can continue doing it yearly and make it sustainable,” he said. As for what’s next for the world traveler, he’s contemplating a variety of options, including the Foreign Service, returning to Japan, or maybe heading to graduate school in the U.S. Ultimately, Murray knows that Peace Corps has shaped him into a different person. Click on each thumbnail for a full-size photo. 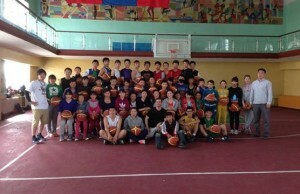 Murray with teachers, coaches and students at a basketball and leadership camp he organized. Murray and friends hanging out in a friend’s ger. Murray judges a schoolwide spelling bee. 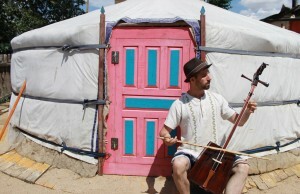 Murray playing his morin khuur (horse head fiddle) in front of his ger. Three years after returning from the Philippines, Shala Meindel ’08 still sends packages of supplies to the orphanage she served in while in Peace Corps. Her FIU studies in criminal justice and social work led to an assignment at an urban juvenile detention facility on the Southeast Asian island. The locked-down unit had no windows, air conditioning or beds. 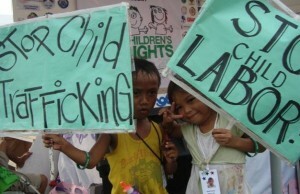 It housed dozens of children ranging from three to 18 years old. Many had been charged with petty crimes such as theft, while others were there for murder. Meindel saw only children in need and was focused on ministering to their critical needs: literacy, life skills, and drug and alcohol intervention. 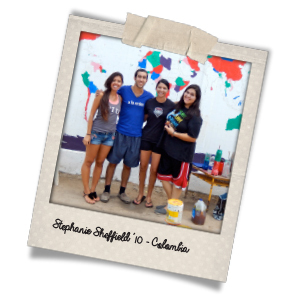 Stephanie Sheffield ’10 is serving in Santa Marta, Colombia, a coastal city flanked by beautiful beaches and the Sierra Nevada mountains. 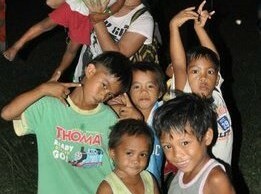 She arrived in August of last year for her assignment, Teaching English for Livelihoods (TEFL) project. The TEFL project supports the training of Colombian primary and secondary teachers in improving their English as a foreign language teaching abilities through co-teaching, co-planning, workshops and one-on-one tutoring with volunteers. Sheffield works with both English and non-English teachers to improve their spoken and written English skills. At a Peace Corps training session. Sheffield at her Peace Corps swearing-in ceremony in Barranquilla, Colombia. Instructing a yoga class at a Girls’ Empowerment Camp in Santa Marta, Colombia. Sheffield was invited to speak at a bilingual forum for high school students and teachers. 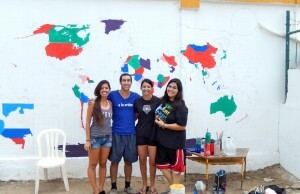 Working with other volunteers on a world map on the island of Tierra Bomba, Colombia. 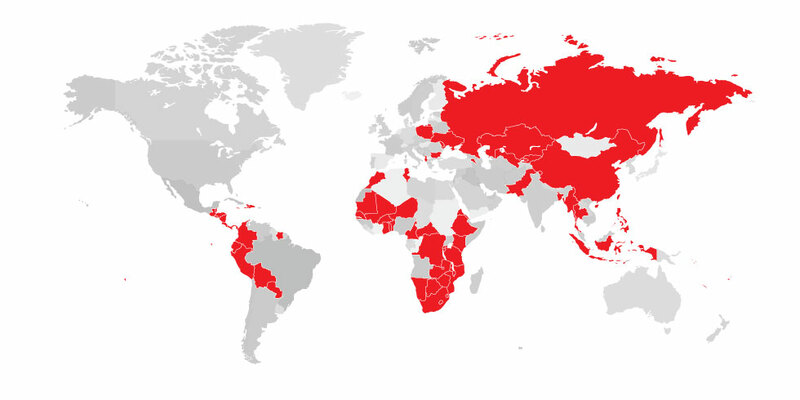 FIU alumni have served in 74 Peace Corps posts around the world. You have mistakenly named Tobago as the country Ms. Mendel serve but it is incorrect and may actually have been an island of the Philippines. Please make the correction as the information is misleading to the peoples of the twin island republic of Trinidad and Tobago.